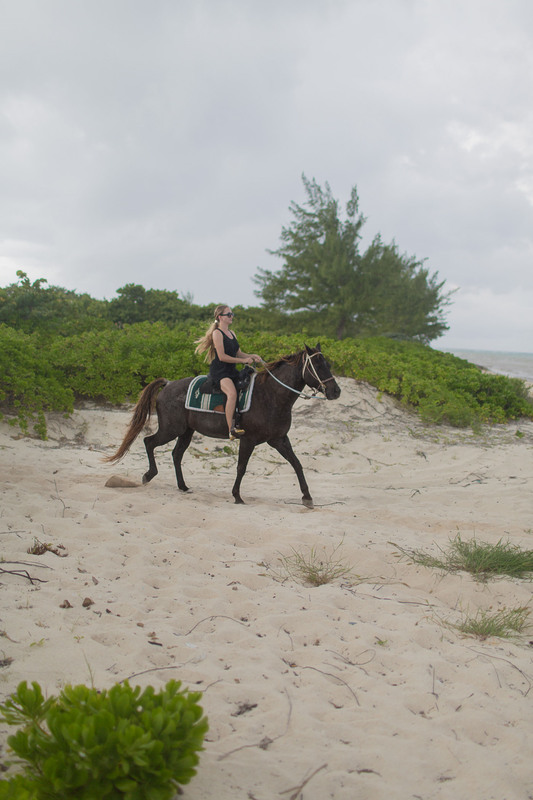 Horseback Riding on the Beach - Hej Doll | Simple modern living by Jessica Doll. I grew up around horses, and although I don’t get to ride much today, horseback riding is still one of my favorite activities. 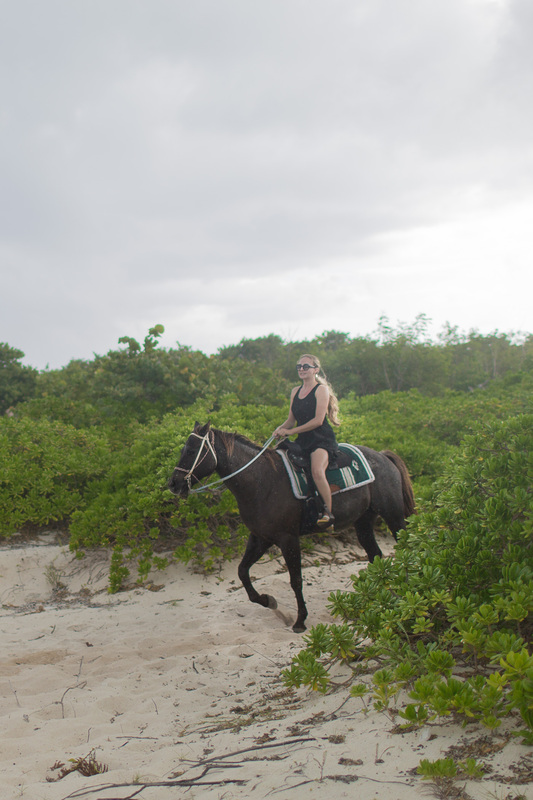 On a recent trip to the Cayman Islands I was invited to go for a ride on the beach, how could I say no? I didn’t. The drive to the horses was peaceful, the town seemed smaller away from the resort. I’m told that the house above is well over 100 years old, and is a traditional Caymanian style home. When we arrive, Detroit is waiting for me. I stopped for a second to look at his friend with different colored eyes on my way over. The weather was gloomy, Hurricane Joaquin loomed in the distance. We began our ride and the rain started to fall. It was a light and was a welcomed cool down in the humidity. We headed for the beach, but didn’t make it far before lightening struck and rain poured in the distance. We decided it was better to head back and stay safe in case one of the horses were spooked. Or, even worse, we found out what it’s like to be the tallest person on the beach. After we rode back to the stables we showed the horses some love and called it a day.